How do I disable a payment link or switch it off to make it inactive? Login to your Dashboard and click on Payment link. Expand the link you would like to switch off or Disable. You will see an option to switch off link. 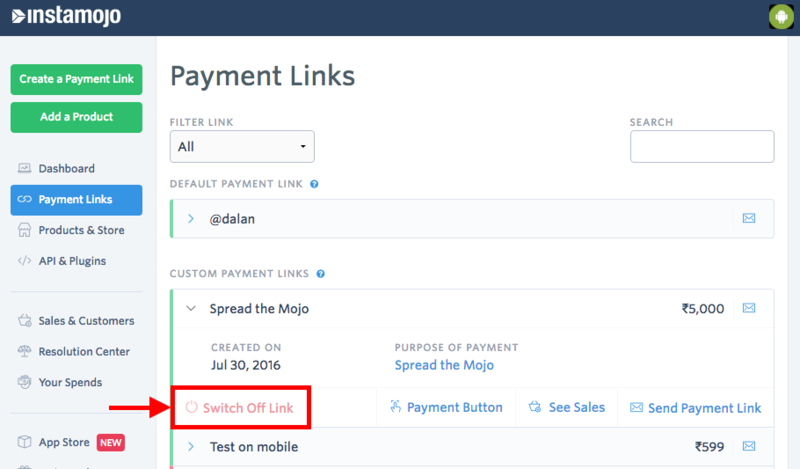 Once you switch off the link your customers will not be able to make the payment. You can also switch off the link by clicking on the three dots next to the share button.